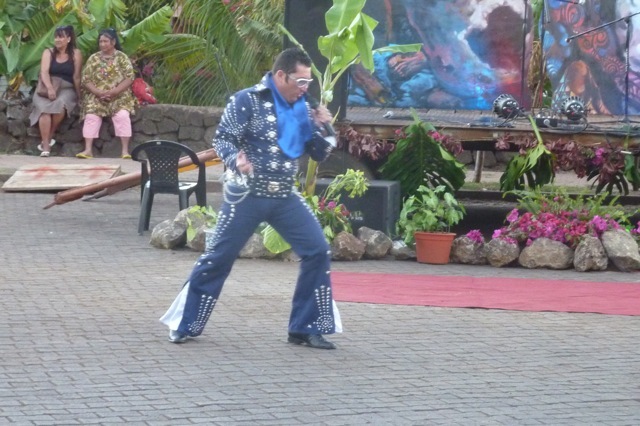 Easter Island has its own Elvis impersonator. Who knew? He needs to work on the hair some, I think.